An Alexander County woman is in custody following her arrest this morning. 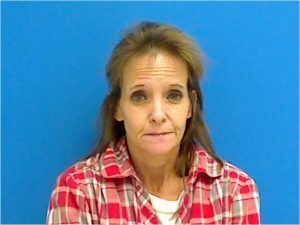 47 year old Rhonda J Teague was arrested by the Catawba County Sheriff’s Office. Teague is charged with possession of methamphetamine, and a variety of other drug offenses. Teague is confined in the Catawba County Detention Center under a secured bond of $8,5000. She is scheduled for an initial court appearance Friday, December 1st in Newton.